Nothing major, it's just routine maintenance. 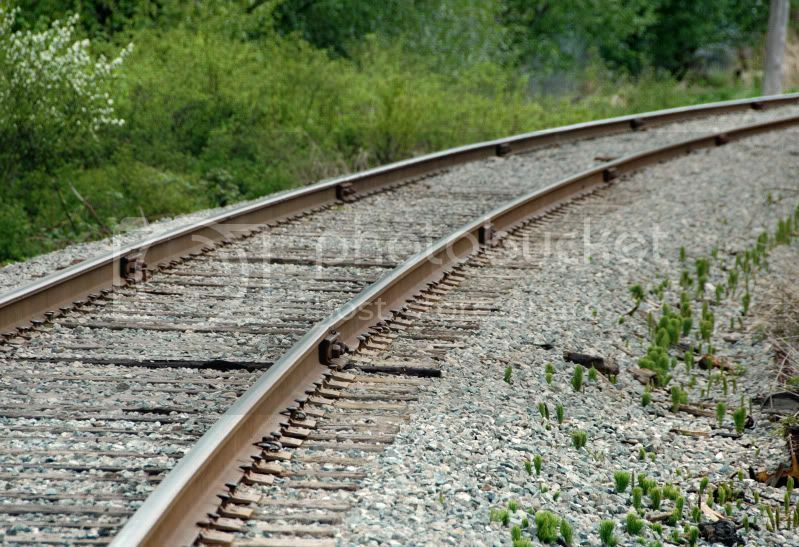 They ran the track inspection train a few weeks ago and found some areas where the ballast had been worn away either by water, track settling, or where people had made trails. 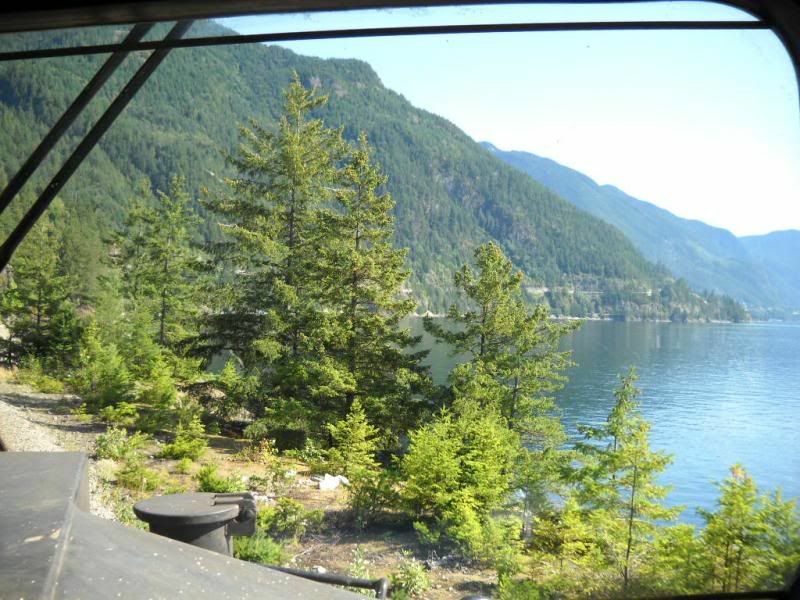 British COLumbia railway. BCR was already taken. 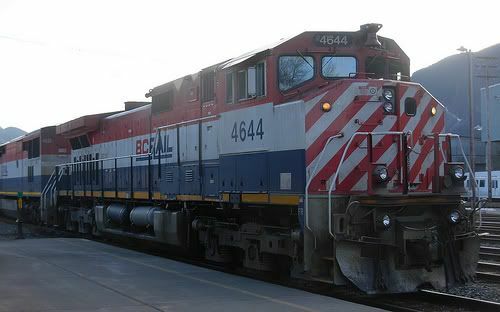 BCOL = British Columbia [Railway] On-line, cars/locomotives that for the most part would never be interchanged off BC Rail, or very far from BC Rail. 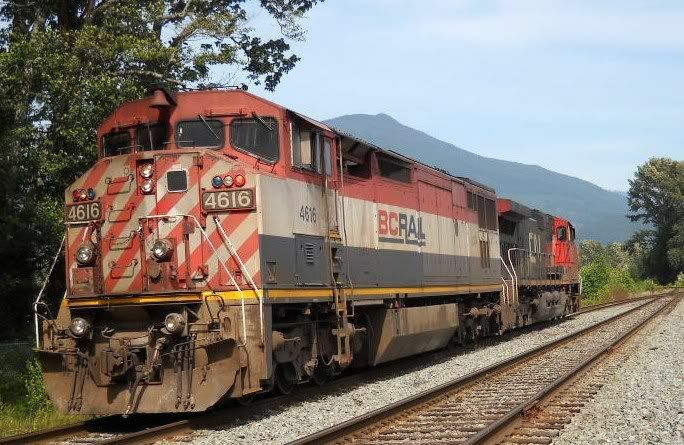 BCIT = British Columbia [Railway] International, cars that wondered off the BC Rail system most commonly into the USA. Wow, I was way off on the BCOL. BTW, I have seen some new BCOL boxcars recently. They're CN Brown boxcars with BCOL on them. BTW here's a picture from the net of the BCOL 4615. I couldn't tell if your request was for historic photos, which is what I don't have. But I do have recent photos on my external hard drive. This is one I took during a BC 150 celebration, with a Royal Hudson steam up at our local heritage railway park. Where people had made trails? This has my curiosity.. please explain. Some photos I snapped recently. North of Squamish, near Spiral Court. Switchin in Squamish. 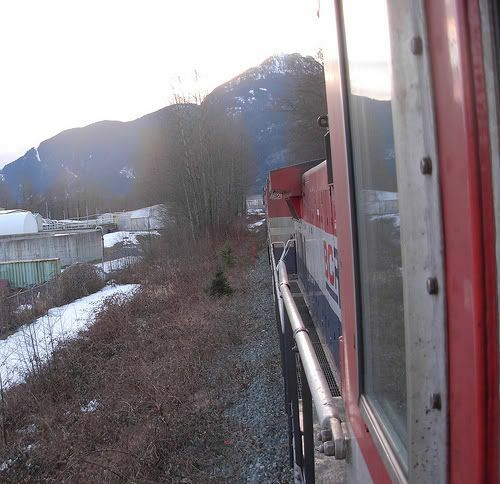 More BC Rail Power at Squamish. Up from North Van on 546.
name that curve... recently in the news. 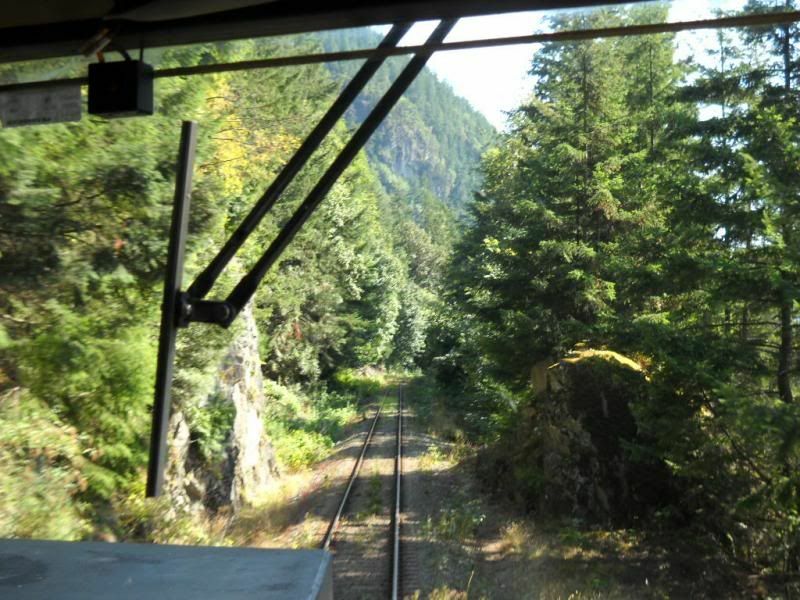 My guess would be where CN had the derailment in Cheakamus Canyon? I'm guessing somewhere on the BCR. Not the derailment site in the Cheakamus Canyon as it's on a bridge, there's too much vegetation in the picture and it's all CWR ribbon rail in the canyon. My guess is the curve near Porteau along the highway where the rock slide was last summer. OK, it's been bugging me for a while but I finally figured out where that picture is. It's the curve just south of Loggers Lane in Squamish. 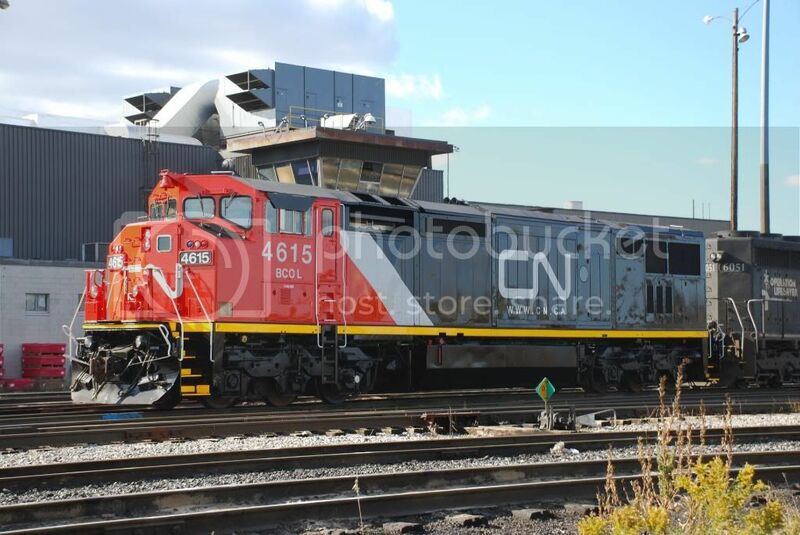 BC Rail 4616, seen where it should be, on the BCR. The view from my "office". 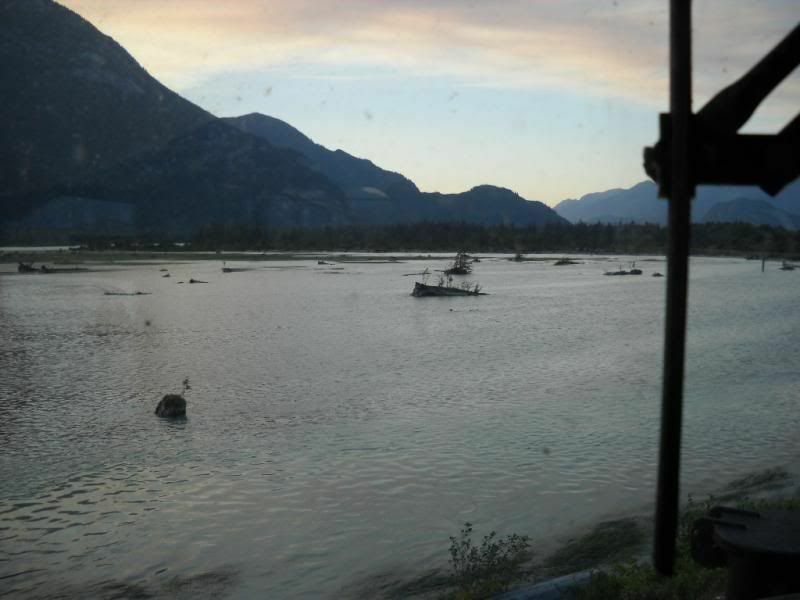 Sunset at the Squamish Terminals. Some from a recent trip on the BCR. 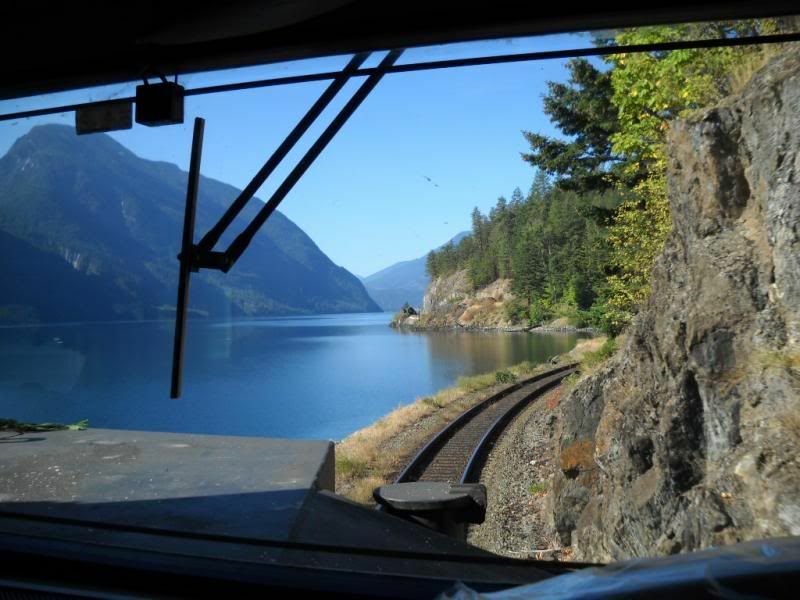 Worked train 569 north to Lillooet on the 26, and came back on the 27th. I took some pictures coming south. And my lead locomotive at the end of the trip at North Vancouver. 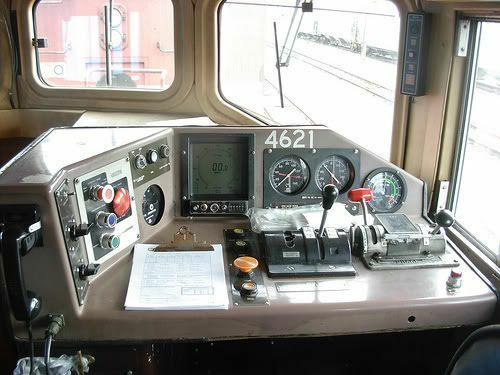 New EMD power with air conditioning. 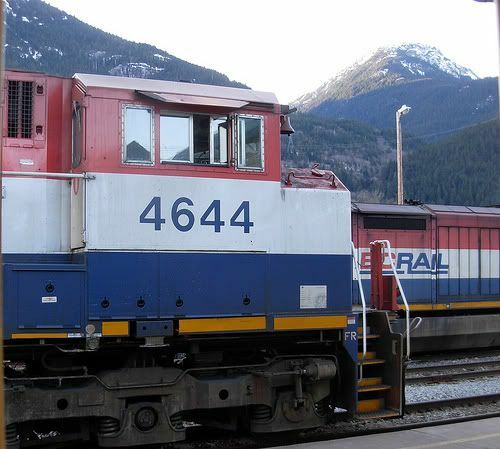 CN power in the yard at Lillooet, BC. My engine for the 2 weeks I was working on the Exeter yard at 100 Mile House, BC. - note the old vehicle bridge in left background. That same rail bridge in background, as seen from the old vehicle bridge. The old PGE station in North Vancouver. 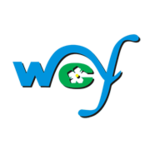 The PGE was taken over by the BC Government, and it was renamed BC Rail. CN bought it [the line] from the government in 2003 (Am I correct with that year?). iI think it was a year or so later that gordo's double-cross off loading of bc rail was completed, but some of the court cases are still ongoing, mr.dot. CN bought it [the line] from the government in 2003 (Am I correct with that year?). 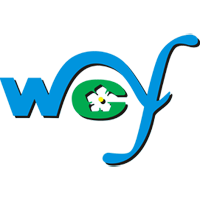 CN took over in 2004. 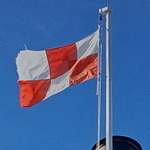 The PGE/BCR became a BC provincial government entity c1920, due to bankruptcy. 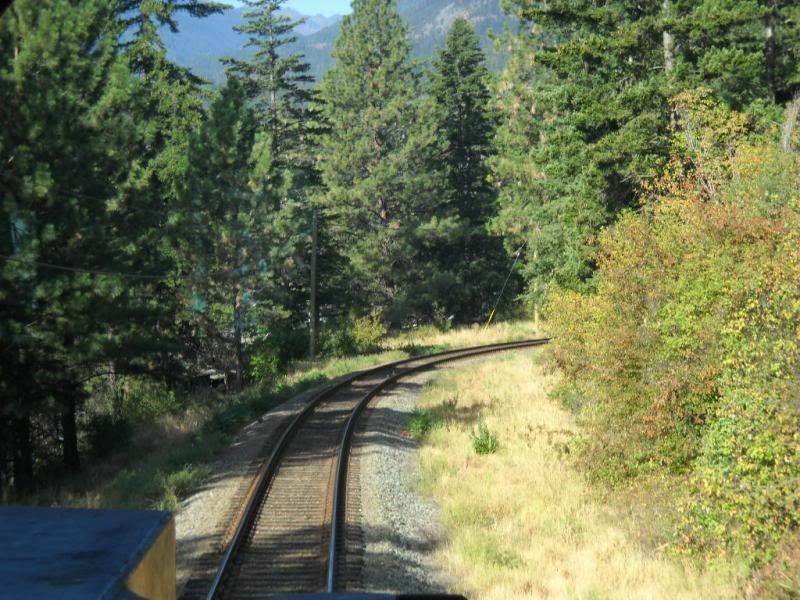 It started out as a private venture aiming to connect North Vancouver with the Grand Trunk Pacific Railway at Prince George. Unfortunately it did not make that connection complete for almost 4 decades. For 30 plus years it ran as they say from nowhere to nowhere, Squamish to Quesnel to be precise. This is why people dubbed the PGE as the "Prince George Eventually". 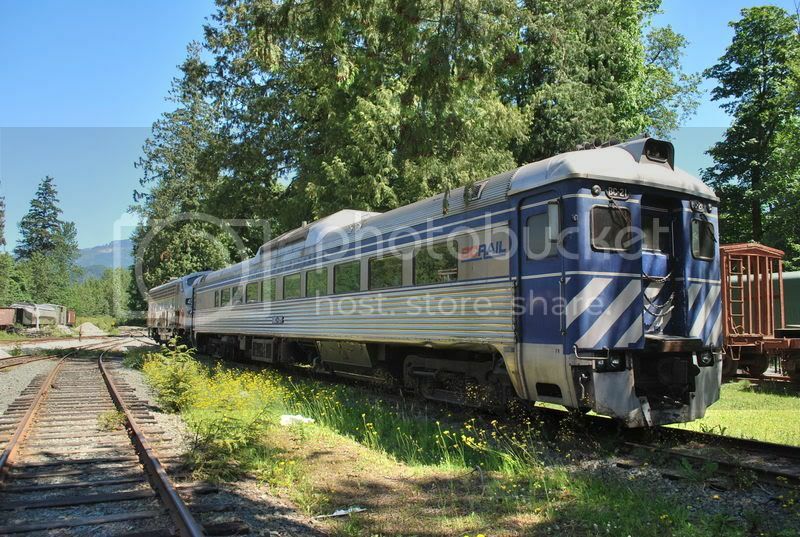 I think it was 1956 when North Vancouver was finally connected by steel rails to Prince George. 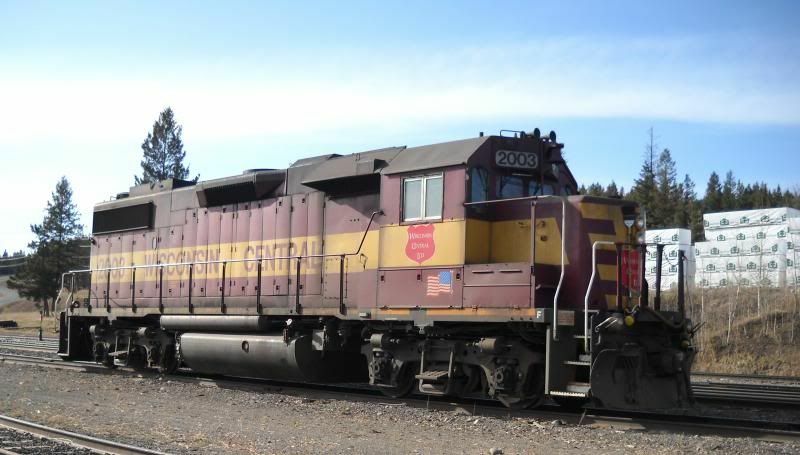 The PGE was chartered by the Great Eastern RR. Hence the ridiculous name. 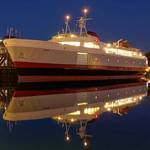 Try the Puff, Grunt and Expire, lol... or, Province's Greatest Expense. 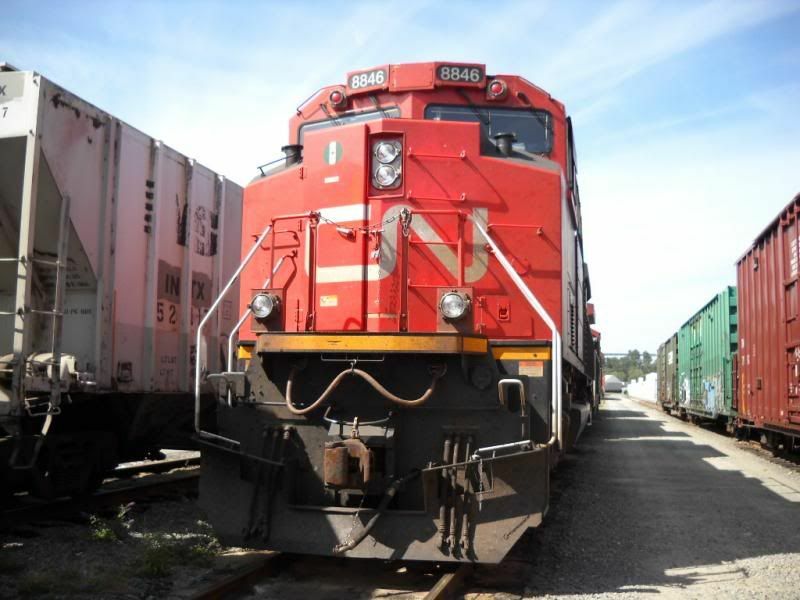 CN did not 'buy' the line from BC, they signed an lease agreement to operate it (if you can call what they do operating). The actual rail line is still owned by the province. 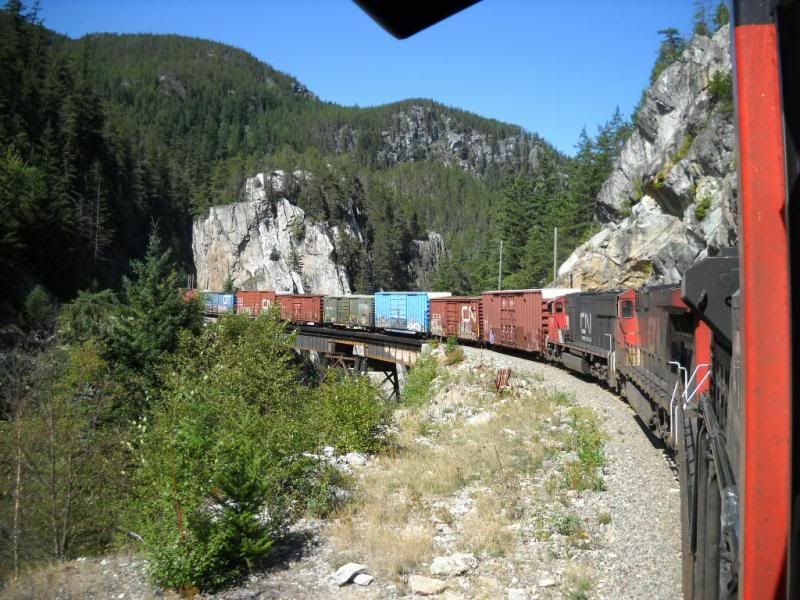 Good to see one railway on Vancouver Island moving some decent tonnage. 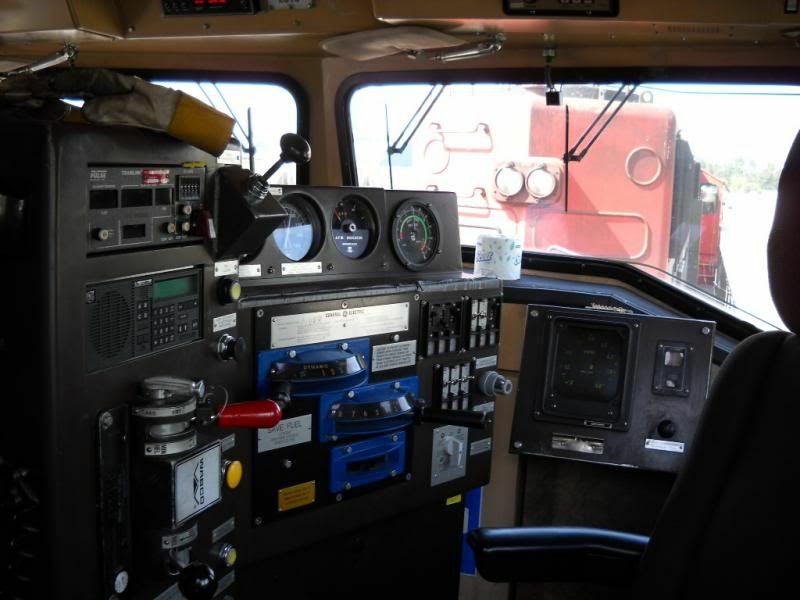 Some sad news, I just recently found out that former BC Rail locomotive engineer and the man that trained me as a locomotive engineer, Bruce MacFarlane passed away at the age of 57, only 2 years after retirement. 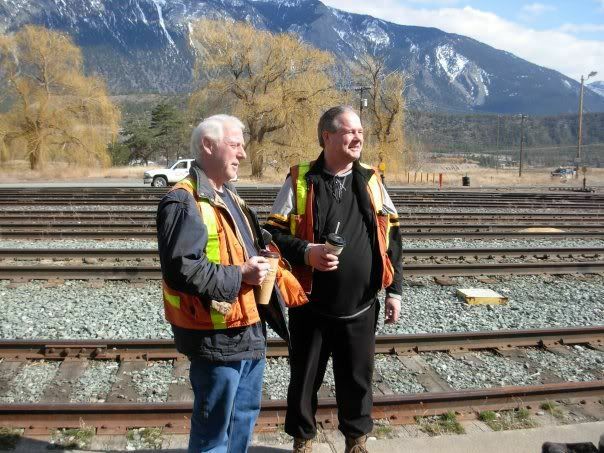 Bruce on the right on his last run in the spring of 2009 at the station at Lillooet.